Immigrants, Refugees, Trauma and Adverse Childhood Experiences – What Do We Need to Do to Help Them? Over the past few months, there has been much discussion about immigrants, refugees and those persons seeking asylum in the United States. But very little has been shared about the behavioral health needs of these people who are arriving during the most polarized political period in recent history. Most of those seeking asylum are escaping horrors of war, gangs, death, poverty and persecution and in are need of behavioral health treatment and supports. Immigrant families are in a vulnerable state and struggle with specific cultural and linguistic challenges when trying to access services, often resulting in them suffering in silence. As the population of the United States becomes increasingly diverse, policymakers must make a critical examination of the availability and quality of services received by ethnic minority groups in behavioral health. Infrastructure within behavioral health that is equipped to address the issues of language and culture for immigrant families is lacking. At the local, state and federal level we need to address the individual, provider, and system-level barriers that keep individuals from being served. These include addressing the availability and equitable distribution of resources, the development of the proper workforce and the organization of the health system in general. This workshop will focus on strategies that are being implemented by the National Hispanic and Latino Addiction Technology Transfer Center and the National Hispanic and Latino Prevention Technology Transfer Center to provide training to the behavioral health workforce to prepare them to work with Hispanic and Latino immigrant and refugee families. Pierluigi Mancini PhD is the Project Director for the National Hispanic and Latino Addiction Technology Transfer Center and the National Hispanic and Latino Prevention Technology Transfer Center. Both centers are housed at the National Latino Behavioral Health Association (NLBHA.org) located in New Mexico. NLBHA was established to fill a need for a unified national voice for Latino populations in the behavioral health arena and to bring attention to the great disparities that exist in areas of access, utilization, practice-based research, and adequately trained personnel. Both of our centers are part of the National TTC Network which, is an international, multidisciplinary resource for professionals in the addictions treatment, prevention and recovery services field that was established in 1993 by the Substance Abuse and Mental Health Services Administration (SAMHSA). 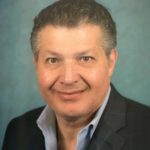 With over 30 years of experience in culturally and linguistically appropriate behavioral health treatment and prevention, Dr. Mancini is one of the most sought after national and international consultants and speakers on the subject of mental health and addiction, his area of expertise is immigrant behavioral health. His book ¡Mental! In The Trump Era – Ten Inspirational Stories About Immigrants Overcoming Addiction, Depression and Anxiety in America has recently been published to great reviews and it is available on Amazon.com. Dr. Mancini founded Georgia’s only Latino behavioral health program in 1999 to serve the immigrant population by providing cultural and linguistically appropriate mental health and addiction treatment and prevention services in English, Spanish and Portuguese. A frequent guest of local, national and international media Dr. Mancini has been featured in U.S. News and World Report, The Atlanta Journal and Constitution, WAGA-TV Channel 5 Atlanta, CNN en Español, Telemundo and Univision. Additionally, Dr. Mancini has been a favorite and frequent guest of Spanish language radio stations. As a national consultant, Dr. Mancini has provided expert content on immigrant behavioral health and cultural and linguistic competency to clients at the local, state and federal level. As an international consultant, Dr. Mancini has provided guidance, mentorship, and internships to psychology students from the Universidad Anáhuac Mayab in Mérida, Mexico and has consulted in underage drinking prevention programs in Italy. Dr. Mancini is fluent in Spanish and conversational in Italian. Dr. Mancini’s public service announcement and documentaries addressing underage drinking, suicide, and prescription drugs have won a combined six (6) EMMY ® awards. Dr. Mancini has been honored with the National Latina/o Psychological Association Star Vega Distinguished Service Award; the National Council of La Raza – Helen Rodríguez- Trías Award for Health; and the Mental Health America “Heroes in the Fight” Award among others. Dr. Mancini is the Chair-Elect of the Georgia Behavioral Health Planning and Advisory Council, Immediate Past President of the Board of the National Latino Behavioral Health Association and was a member of SAMHSA’s Hispanic/Latino Initiative Steering Committee. He serves on the Board of Directors of Wellstar Hospital, the Georgia Council on Substance Abuse and the National Association of Mental Health Planning and Advisory Councils.